Save 10% each on Mixi Gym Bag when you purchase one or more. Enter Code GYMBAGGO at checkout! ✔ EXCELLENT QUALITY. 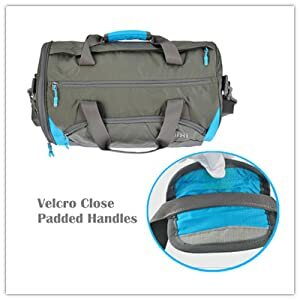 This carry on travel gym bag is made with super durable waterproof polyester fabric, rip stop nylon lining and non-rusting rugged hardware. High Quality SBS corded zipper with pull string will not break on you. ✔ KEEP THINGS ORGANIZED. 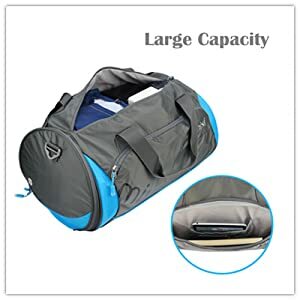 With four separate compartments - The roomy main compartment along with several interior and exterior pockets for holding clothing, towel, toiletries, shoes and extra wet items. ✔ COMFORTABLE & DURABLE. Removable fully adjustable padded shoulder strap and velcro close handles. Quick access side mesh pocket, reinforced seam construction. ✔ CONVENIENT TO CARRY. 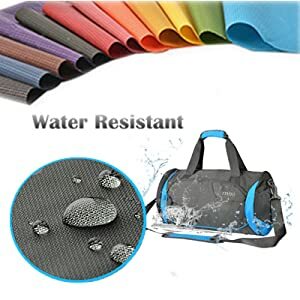 Perfect for use as a lightweight gym bag, gym sack, shoe bag, sports bag, travel bag, duffel bag, carry bag, airline bag to carry all your gears. DIMENSION: 18" - 17.5" x 9.8" x 9.8"/ 44cmx25cmx25cm (LxHxW). Four trendy colors to choose. Mixi is an active, open-minded, lifestyle brand, dedicated to creating various high-quality bags. Take our Gym bag on the go with you for any activity and style with our wonderful color selection. Measuring at 18" length, our Medium Duffel Bag can be used for carrying any personal belongings, and its great sizing gives you the portability without having to deal with lugging a huge weight on you. Features an easy to access top-open double zipper main compartment. 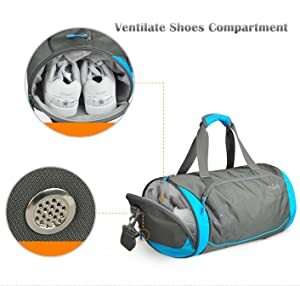 A inner shoes compartment is convenient and practical. There is a front-end zippered pocket for smaller items to place in also! 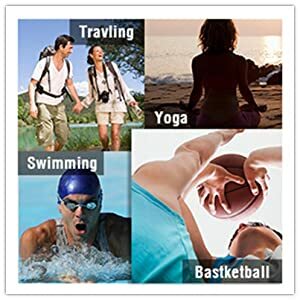 It will be a necessity for not matter outdoor sports or gym sport. Size:17.5" x 9.8" x 9.8"